(until the're old songs, of course), and that is to become revived. 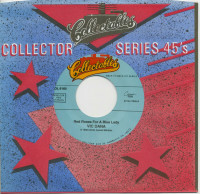 More and more, stoday's top artists are dipping into the great oldies, trying to come up with ways to present them in today's musical idiom. When it works, credit is due twice; first, to the song for its adaptability and second, to the artist and arranger for giving the song its new life. 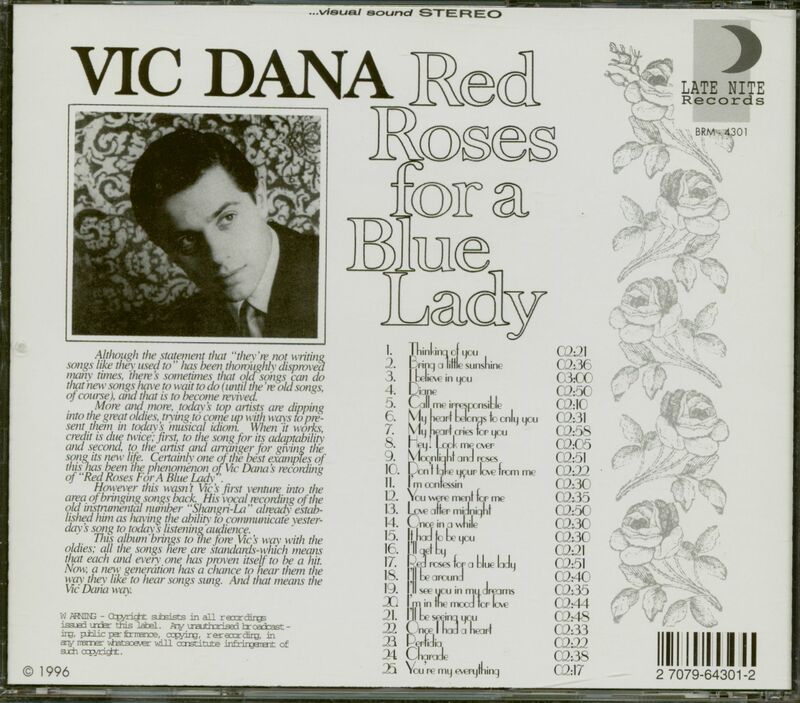 Certainly one of the best examples of this been the phenomenon of Vic Dana's recording of 'Red Roses For A Blue Lady''. 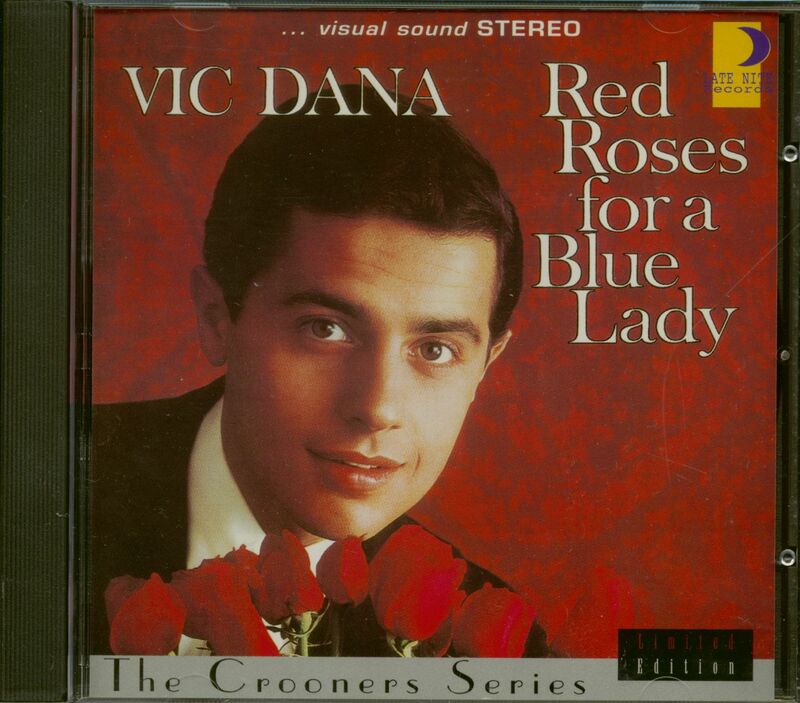 However this wasn't Vic's first venture into the area of bringing songs back. His vocal recording of the old instrumental number 'Shangri-La' already established him as having the ability to communicate yesterday's song to today s listening audience. This album brings to the fore Vic 's way with the oldies; all the songs here are standards-which means that each and every one has proven itself to be a hit. Now, a new generation has a chance to hear them the way they like to hear songs sung. 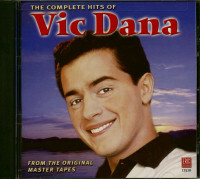 And that means the Vic Dana way. 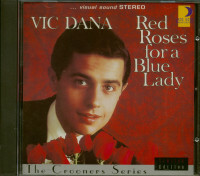 Kundenbewertungen für "Red Roses For A Blue Lady (CD)"